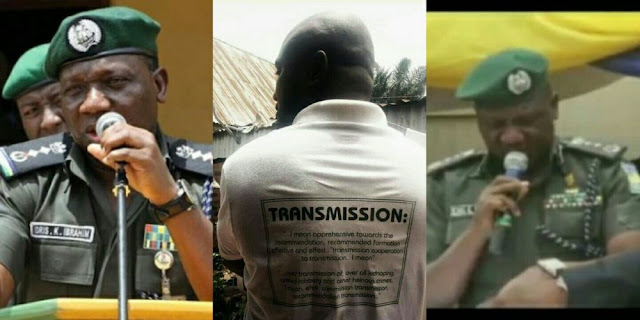 Journalist Who Posted IGP IBRAHIM IDRIS’ Viral “TRANSMISSION” VIDEO Goes Into Hiding! Liberty Television journalist, Aminu Nurudeen, suspected to have posted the viral video showing the Inspector General of Police, Ibrahim Idris, struggling to read a speech at a public event in Kano, has gone into hiding, Saturday PUNCH has learned. It was learned that Nurudeen’s whereabouts had been unknown since the Kano State Police Public Relations Officer, SP Musa Magaji Majiya, invited him on Thursday. According to sources, the IG’s blunder brought an abrupt end to the event, leading the police chief’s handlers to hurriedly usher him away from the venue of the event. The viral video showed the IG delivering an incoherent speech, which had since exposed him to public ridicule. The over two minutes video showed Idris apologizing to the audience intermittently as he struggled to read the speech which appeared to be a few pages long. As he battled to read the speech, a senior police officer moved to his side to assist him, but he still flunked the speech.